Saturday is our chore day, as I’m sure it is for most people. I have a little system down for cleaning the bathrooms quickly. The last thing I do is clean the mirrors and windows. Once they are done, things feel the most clean. And the same goes for my kitchen. Polishing up the front of the oven and microwave helps give my kitchen that “just cleaned” feel. Tip: If you’re short on time, spiffing up the glass will make things automatically look cleaner. 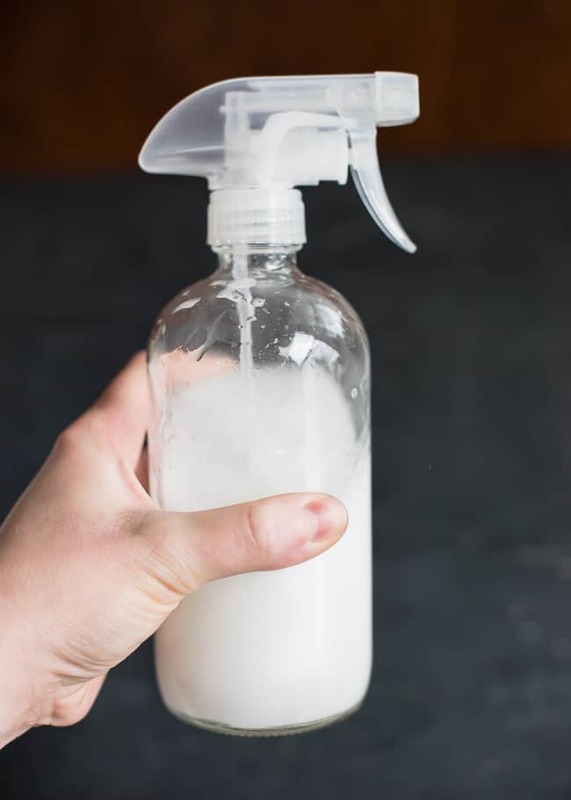 Using a natural cleaners is important to me, as we’ve switched out all the nasty chemical cleaners for gentler, safer ones. 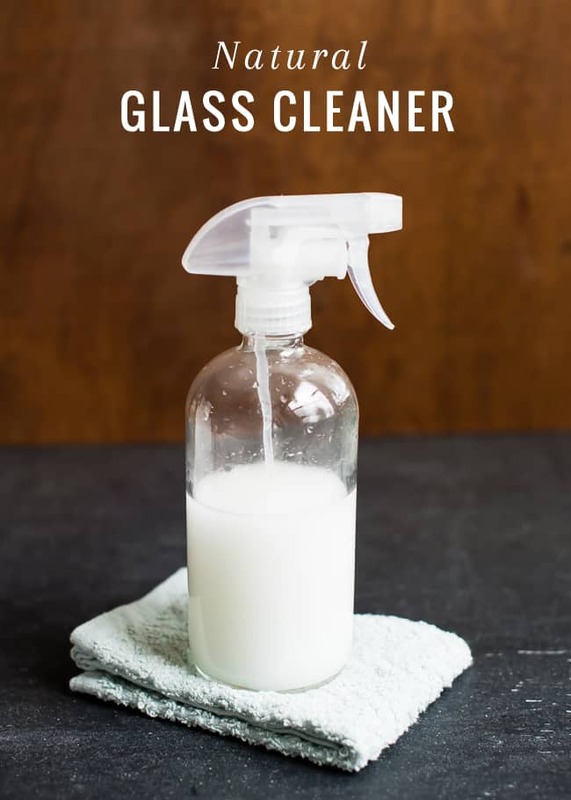 This natural glass cleaner is made from four basic ingredients you probably already have in your kitchen. 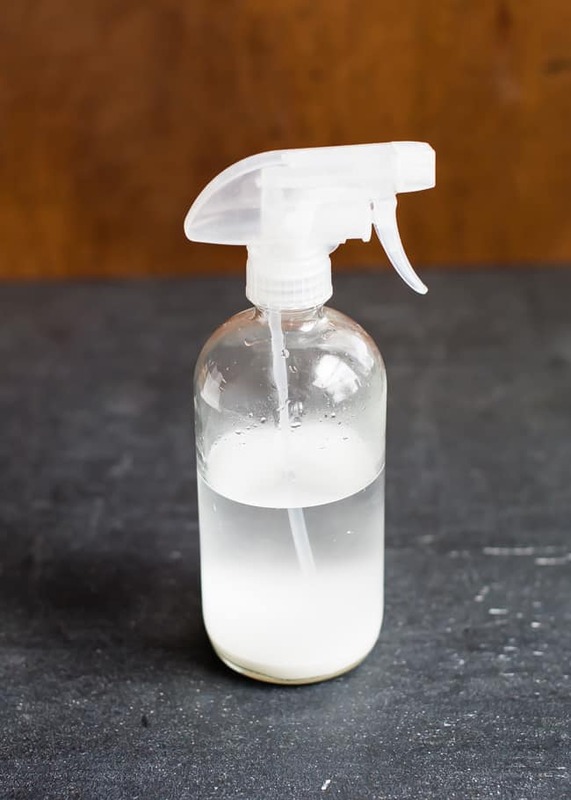 White distilled vinegar is a great all-purpose cleaner around that home that is not only effective, but very safe. It’s been used for a long time to clean class. Adding alcohol gives it an extra boost. 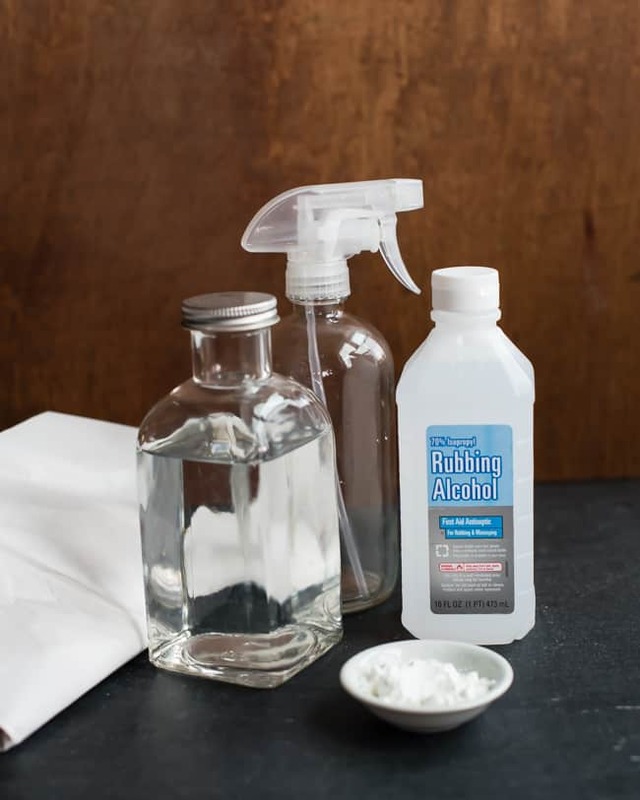 We have been making our own lens cleaner for our eye glasses for several years now, and rubbing alcohol is the main component. 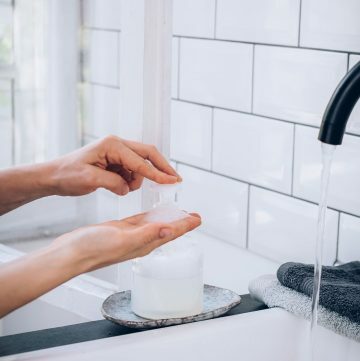 Using a combination of the vinegar and rubbing alcohol is pretty great alone, but sometimes there can be stubborn streaks left behind, particularly on mirrors. That’s where the cornstarch comes in. I was searching online for a better option that would eliminate the streaks and came upon several recipes that used cornstarch. I had to delve a little deeper. On numerous websites and forums, everyone raved about this miracle window and glass cleaner. But in all my searching I couldn’t find the reason why adding cornstarch makes such a fantastic window and glass cleaner. All I could find was that this kind of solution in one form or another has been used by professional window cleaners for years. Good enough for me! And you know what? My windows and mirror have never been clearer or cleaner. It does take a little more elbow grease, but the results are amazing. I’m guessing it’s something to do with the cornstarch particles acting as a mild, gentle abrasive that helps in shining up the glass. From what I found, you can make this one of two ways: just cornstarch and water mixed together in a bucket, which is nice if you’re washing a lot of windows; or a solution of rubbing alcohol, white vinegar, cornstarch and warm water. 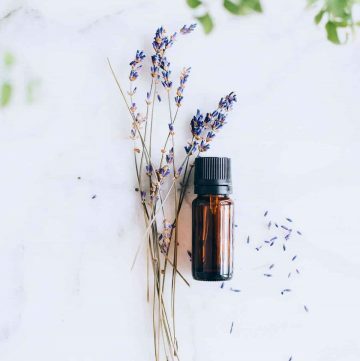 The solution does not last forever, so make it in small enough batches that you’ll be able to use it before it goes “off.” I haven’t done the bucket method because it’s more convenient for me to keep the solution in a spray bottle and mix up smaller batches as needed. The cornstarch will settle at the bottom, so be sure to really shake things up before spraying. If the nozzle gets clogged, just run some warm water through it to clear it out. Place everything into a spray bottle and shake well. Shake well before each application. 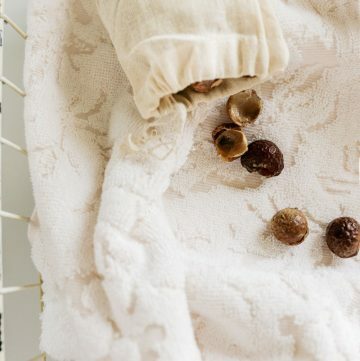 Use newspaper or a terry cloth to wipe clean. Continue wiping until any white residue is gone and glass is sparkling clean. Have you ever tried this cornstarch concoction? I don’t think I’ll ever go back! thanks for the recipe! i’ll definitely pin it for future reference! I will have to try this. At the moment I use vinegar, a drop of meths and water and this does a pretty good job but I do get streaks. 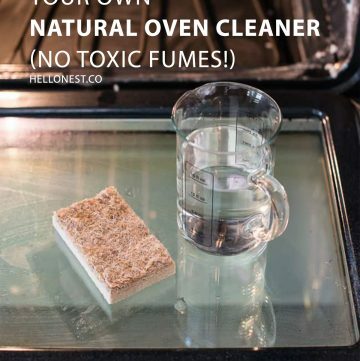 it is recipe of home made glass cleaner i’m also using. 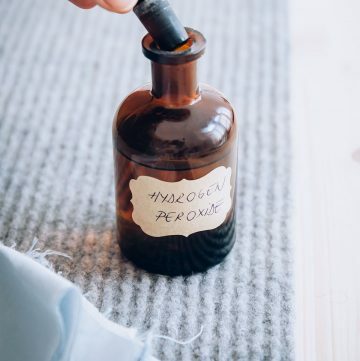 We use vinegar a whole bunch for cleaning around our home (love using it in our laundry!) and I’m now loving the addition of cornstarch into our go-to home window cleaning solution. Really appreciate the time you put into providing us all with these details. Thanks again for the great information!